After the capture of Polygon Wood  the next objective was the ridge at Broodseinde, an action in which three Australian divisions (1st, 2nd and 3rd) took part. 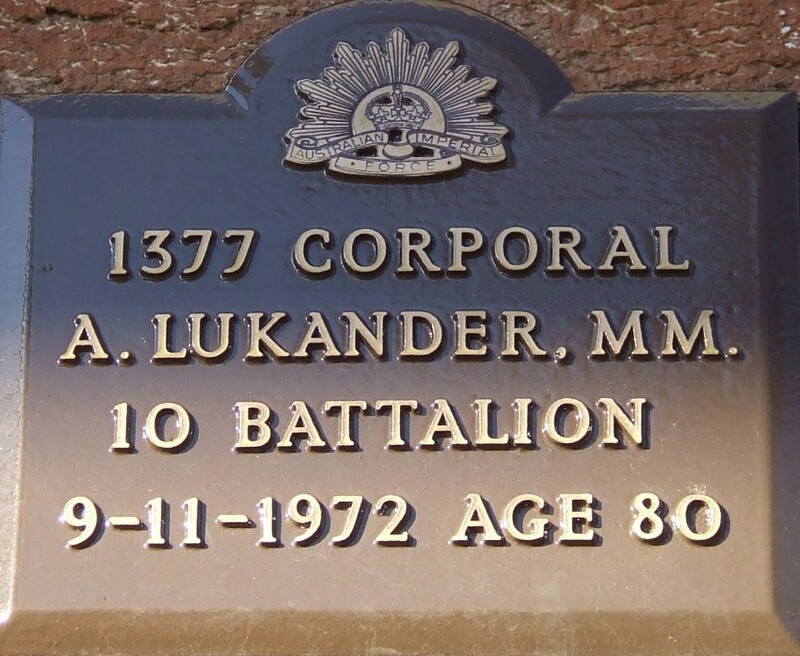 Corporal Albert Lukander was with a light trench-mortar battery in the lines here. Lukander was a Finn who had made Australia his home in 1911, one of those former seamen covered with elaborate tattoos. Among the first of the Finns to enlist in the AIF, he was wounded in the chest during the Gallipoli landing. On recovering, he rejoined his unit (10th Battalion) on the peninsula, remaining there until the troops were all evacuated at the end of December 1915.